We’ve all gotten used to using filters and camera apps on our smartphones to produce interesting photography for our social-media lives. But if you’ve still got a separate stand-alone camera and are only using it in its Automatic setting (where you just snap the photo and go with minimal fuss), you may be missing out on some handy built-in shooting and exposure modes that can give your photos more zing when you actually take them. 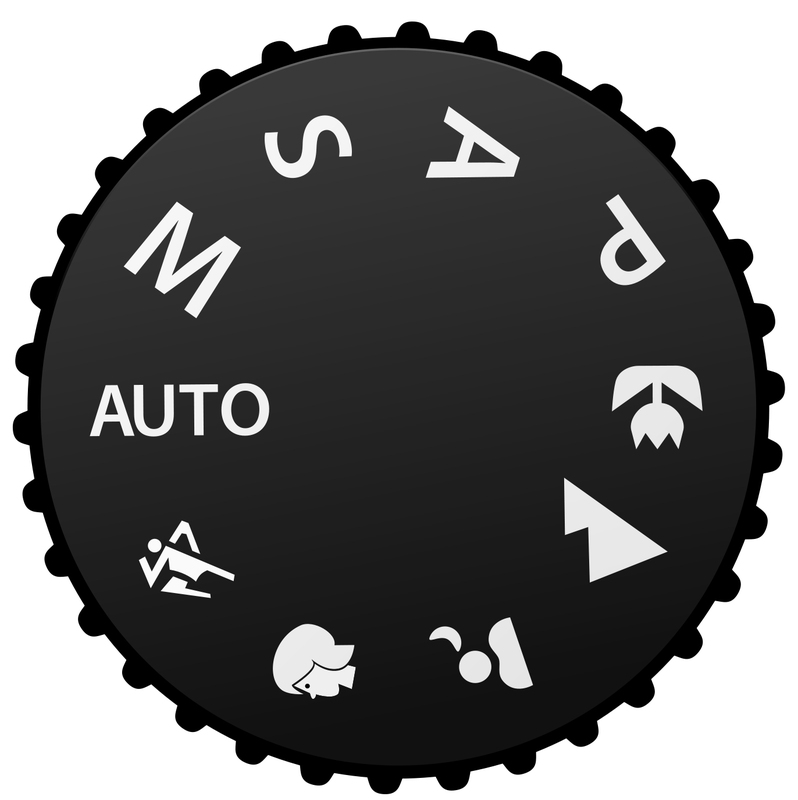 Most decent point-and-shoot models have these modes, which you can usually find on a dial or in a menu in the camera’s controls. On the dial at the top of your camera, you may find settings for Shutter Priority, Aperture Priority, Manual and whatnot. There may also be a dial setting to take you into Scene Mode — or you may find that in one of the camera’s menus. 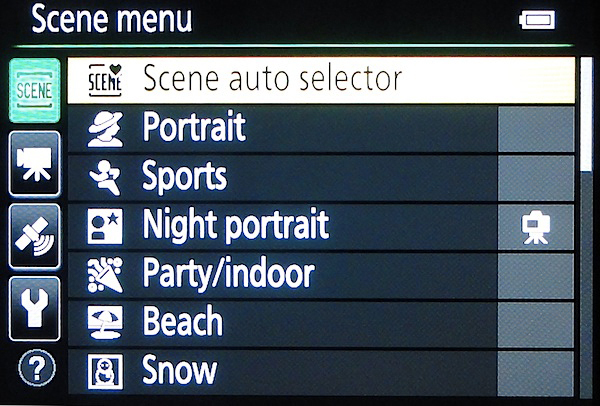 The scene modes have names like Portrait, Landscape, Sports, Macro, Night and so on. The names typically refer to the type of photo you’re trying to take, and the camera’s settings are adjusted accordingly. Take Portrait mode, the one you would use when you’re trying to capture an image of someone in the middle of the frame. In most cases, switching to Portrait mode will have the camera switch to a large aperture to narrow the depth of field — which means your subject is nicely in focus and commanding attention, but the background and any distracting elements are blurred. Other modes adjust the flash, shutter speed, exposure settings and more to capture the gist of the situation. Sports mode, for example, kicks up the shutter speed to capture more of the action in focus. Your camera’s instruction manual should have a full explanation of the settings and shooting modes your model offers. (Some of the better cameras even have an automatic setting that picks the scene mode for you based on the shooting conditions it senses.) If you’ve chucked or lost your manual, worry not. • On the manufacturer’s website. Look for a PDF download — Canon, Nikon, Sony and others usually have them posted. • In the app store you use with your mobile device. You might luck into a free electronic version or manual viewer. • Around the Web. The comprehensive ManualsOnline.com quite possibly may have your model’s guidebook. Or, you could do what many nerds do: Just fiddle around and press buttons until you get the machine to do what you want. Oh, and rose gold is apparently a thing. But Apple was in the spotlight for other reasons as well this week. A story on the front page of The New York Times highlighted the company’s national security tussle with the United States government over encryption and data access with software like iMessage, a program Apple says it can’t decrypt itself. The fall tech bounty does not begin nor end with the Fruit-Themed Toymaker of Cupertino, however. The annual IFA consumer electronics show in Berlin just ended this week and like the Consumer Electronics Show here in Las Vegas each January, companies preview many products and tech journalists look for trends. 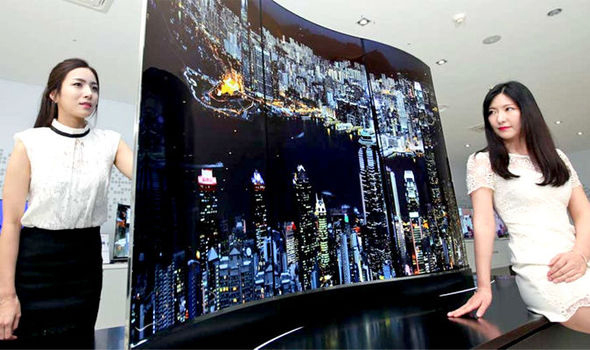 Meanwhile, LG Electronics did some fun stuff with flat televisions, like making a double-sided 4K OLED set (shown here, and probably just a prototype). And if you like a lot of pixels, Canon announced that it’s developed a 250-megapixel sensor that’s still small enough to fit inside a DSLR camera. Comcast is testing a new form of data plan in south Florida. While the company normally imposes a 300-gigabytes-a-month limit, customers can now pay an extra $30 for the Unlimited Data Option. It’s just like those old unlimited broadband plans of yore, except more expensive! Verizon announced its new Go90 mobile streaming TV service this week. The service will be ad-supported and show programs young people want to watch. The publishing industry and Amazon had a very public spat last year over e-book pricing, which eventually led to new distribution deals with the under mega-everything store. But while several publishers got to charge more for their e-books and lose less income to Amazon’s deep discounts, recent sales reports show that their e-book revenue declined overall in the last quarter. Microsoft really, really, really wants you to use its new Edge browser and has even employed its Bing search engine to steer you away from the likes of Google Chrome and Mozilla Firefox. 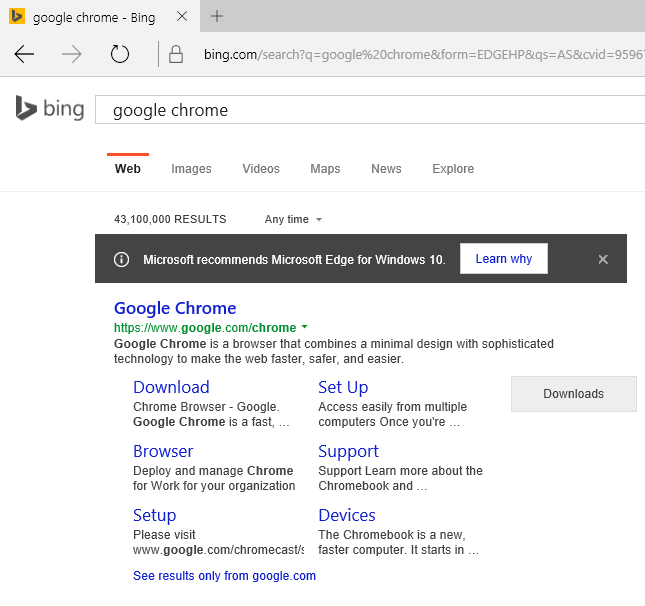 If you happed to search for an alternative browser with Bing on Edge, you see a little box at the top of your search results declaring that Microsoft Edge is really the best browser for Windows 10 and click this here link to learn why. However, the browser does not actually stop you from stepping off the Edge. A writer over at BuzzFeed is disputing the recent PageFair study that estimated ad-blocking software would make sites lose $21 billion in ad revenue this year, bit even squishy numbers do not soothe The Interactive Advertising Bureau. According to Advertising Age, the trade group met this summer to discuss what to do, including filing lawsuits against companies that make ad-blocking software, but nothing major has been decided yet. The IAB did vote to move away from Adobe Flash and make HTML5 its new standard for online ads. And in related news AdBlock Plus just announced its first official ad-blocking app for iOS and than it was back in the Google Play store for Android. NASA said late last week that it has begun its intensive data downlink phase to grab the massive amount of data the New Horizons spacecraft collected during its Pluto flyby in July. The agency also announced that engineers at a facility in New Orleans have welded together the first two segments of the Orion crew module that will be used in a test flight to the far side of the moon in preparation for an eventual manned journey to Mars. And finally, September 4th last week was Force Friday, the day retailers unleashed a giant wave of new officially licensed Star Wars: The Force Awakens merchandise into stores around the world. 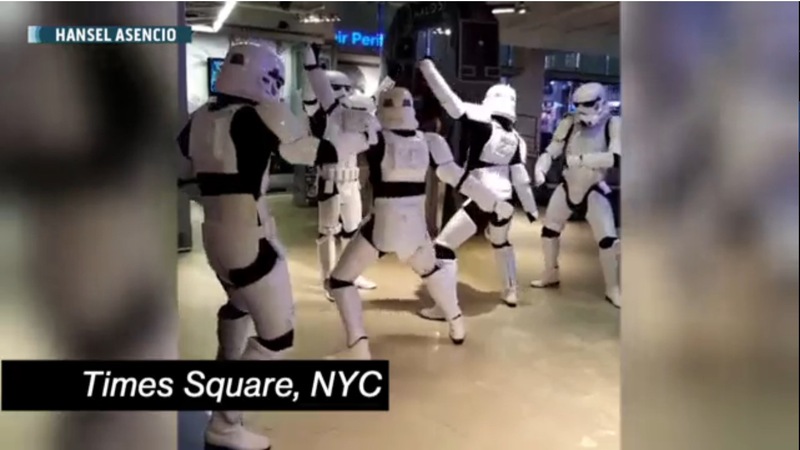 Global celebration events included midnight sales and twerking stormtroopers in Times Square. And as the BBC has noted, all of these merch sales could make this seventh installment in the Star Wars franchise “the biggest film ever.” December 18th, folks — or even earlier, if you happen to live in popular parts of Europe. Okay, who’s checking mid-December airfare to France now?